Judging by this chart from Statista, it isn’t slowing down. 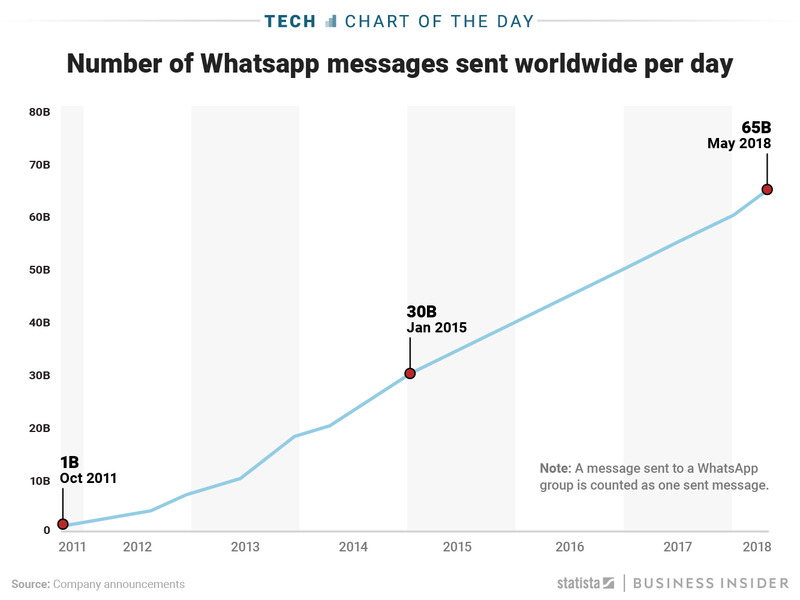 As of May 2018, about 1.5 billion users are sending 65 billion messages via the WhatsApp mobile app and web client per day, up from one billion a couple of years after the company launched in 2009. 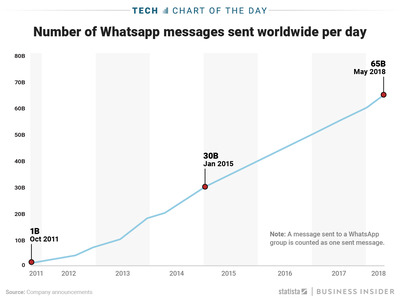 That’s tremendous growth for WhatsApp, and it makes Facebook look very smart for having spent $US19 billion on it in 2014. Given Facebook’s massive social network – more than double WhatsApp’s 465 million monthly active users at the time, and a messaging app of its own – people weren’t sure what an app like WhatsApp could bring to the table. WhatsApp still doesn’t bring in ad dollars, but the acquisition did give Facebook the most popular messaging service in the world, meaning users are leaving one-product competitors like Snap and Skype and instead choosing one of the many services operated by Facebook.